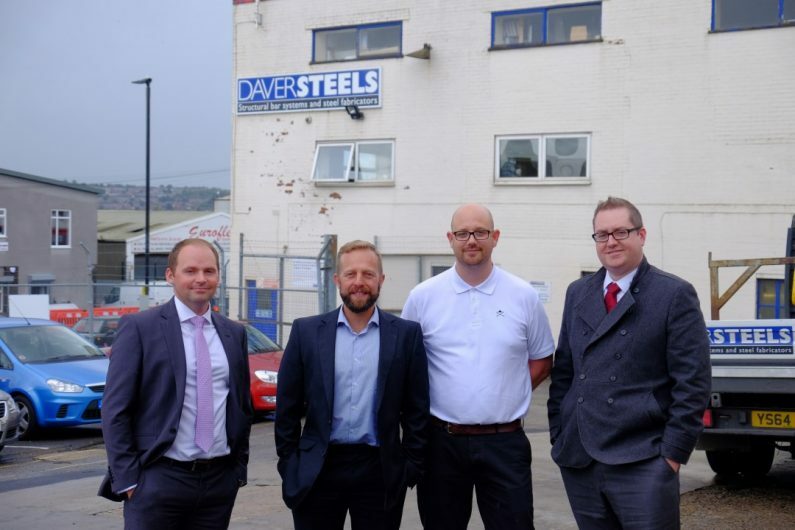 Sheffield based steel manufacturers, Daver Steels, has been acquired in a £1.2 million management buy-out advised by Hawsons and supported by NatWest and Finance for Enterprise. The deal involves a combined financing package from Royal Bank of Scotland Invoice Finance and Lombard. The deal is setting the scene for Lee Stones, the business’s technical sales manager, and Robert Butts, the operations manager, to step into leadership roles in the company. Sales at Daver Steels have increased dramatically in the last couple of years, from £1.8m in 2014, to £3.2m in 2016. They have also worked on the multi-million-pound Crossrail Project in London, where they have supplied hundreds of complex stainless steel structural support frames. Jack Ware, part of the Corporate Finance team at Hawsons said: “It was a pleasure to work with Lee, Rob and the various funding partners seeing this MBO through from inception to completion. Mike Gregg, from Finance for Enterprise, who assisted in funding this transaction also commented “The government backed Start Up Loans scheme is available to individuals looking to start or grow an early stage business. Loans are available up to £25,000 per applicant over a maximum of 5 years. Finance for Enterprise were delighted to work alongside the team at Hawsons and be part of this transaction involving a long-established Sheffield business.